All customers have some pre-conceived expectations form the restaurant before they visit it. Both Food and Service are essential for delivering an excellent restaurant service to your valuable customers. A restaurant’s owners, managers and its employees all share the responsibility for ensuring that the customers are treated professionally, and they leave your restaurant with an overall positive impression of an excellent dining experience and also helps in retaining your customers. Use this Customer Service Checklist to ensure that you maintain optimum restaurant service standards and provide a stellar guest experience to your customers always. Confused about how to improve a restaurant service? Don’t you worry, we are here to help. Follow these seven tips that will help you deliver a stellar restaurant service, which in turn will help you in the retention of employees. It is an undisputed fact that excellent customer service is a must for any restaurant and if your restaurant fails to provide reliable customer service there might be a possibility that you will lose out on valuable customers. It is the responsibility of the restaurant owner to train the staff members in a way they should aim at making their customers happy. 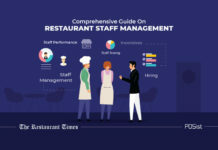 Make sure that each of your staff members undergoes the required training and are aware of the expectations that your customers expect from your restaurant’s service. Proper etiquettes must be maintained in every restaurant irrespective of any format for ensuring better customer service, which we have mentioned below. The food should be served and cleared from the diner’s left. However, the drinks should be poured and refilled from the right. Whenever there is a need for any staff member to interrupt the customers, they should be polite. Clear plates, bring the check and process it promptly. Encourage and train them to think concerning customer care, which goes beyond basic service. The care concept includes such simple steps as smiling at your customers and greeting them promptly and understanding their needs before them saying like refilling water glasses and keeping extra napkins. Make sure that you are clear on the type of service you want your staff to deliver and then create a handbook or training manual. A training manual will make sure that your staff knows the kind of service you expect from them and so they can deliver it more efficiently. When you’re hiring as well as training your staff members, focus on the qualities such as empathy, patience, clarity to respond promptly, when they are interacting with their customers. This can also be your chance to introduce and reinforce company culture, teaching employees how to adhere to your own chosen protocols for etiquette and dealing with difficult specific situations. Having restaurant service standards in place helps your staff deliver consistent service throughout. The most important principle of any great restaurant service is that there should be consistent and effective communication between all your staff members. The staff members should be trained to communicate professionally. Regular staff meetings should happen so that all the staff members are on the same page. There should be good communication between the wait staff and kitchen staff which will ensure timely service, as soon as the food is prepared. If the jobs are divided among people, coordination gets easier. Have only one person calling out orders and designate the position of ticketing and ensuring the order goes to the waitstaff. When your staff members are swapping shifts, it should be with the written approval of your restaurant manager. This will prevent any miscommunication between two employees and short staffing. At my restaurant, I conduct regular meetings with the staff members to keep them motivated and moving. Once your staff is motivated, they do their job up to the mark and keep your customer satisfied. One of the significant turn-offs that lead to poor restaurant service is delays. 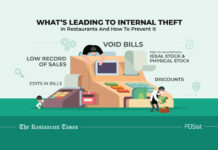 Be it a delay in seating customers, offering the menu, taking the order, bringing in the food or the bill; time lags can ruin the customer experience. For an excellent restaurant service, the wait timings should be accurate. If there is already a line of customers waiting and you are aware that it might take another hour to seat the new customers, let them know. It is always better to surprise your customers with a shorter wait time than disappointing them with a longer one. The server should inform the customers beforehand if a particular dish takes a longer time to prepare. Many restaurants offer complimentary bread or a light snack for the customers while they wait for their order. Put a TV in the waiting area so that they do not get bored and never want to come back. Make sure that you waiting area has access to Wi-Fi. You can also have table games in your restaurants to keep the customers busy during the wait time. ‘The Customer is always right’ is the well-known proverb amongst all the people associated with the restaurants. Any issue or concern of any customer should be taken care of on priority basis. However, in the digitalized world, customers prefer to post their complaints on social media platforms. But whenever customer posts their complaints online, the management should be responsive enough and should reply with politeness and courtesy. If any of your customers are unsatisfied with your restaurant’s service, allow him/ her to voice their concerns freely and pay full attention to their body language and words. It often helps to repeat the customer’s words to make sure you completely understand and to show you have listened well. Employees should be empowered to handle customer disputes because it is the best and most cost-effective way to solve a problem. Immediately apologize to the customer and take effective action. Your main focus should be to maintain calm and anyhow prevent the situation from escalating. Offering a compensation is the best kind of apology you can provide. Even a small offering like giving a dessert for free or tiny amuse-bouche can gain you huge customer service points. 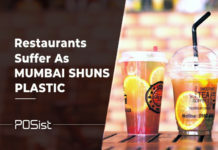 These little acts make your customers feel appreciated and will have positive associations with the restaurants. 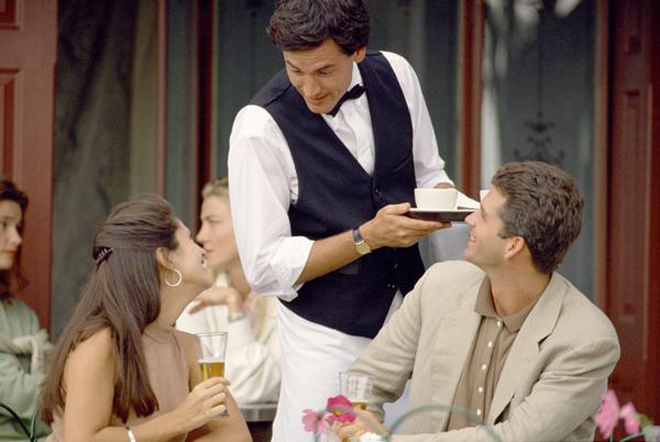 When the customers are done dining, do ask for their feedback and suggestions. Asking for feedback also helps in avoiding bad customer reviews on Social Media. 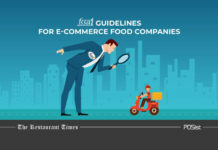 Customers are less likely to post a bad review on Restaurant Review sites and Social Media if their concerns have already been addressed. You can analyze your customer responses and come to a conclusion that what the customers don’t like about your restaurant and likewise. By evaluating strictly on the customer feedback, you can make decisions to improve your overall restaurant service. 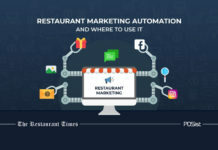 The use of technology is increasing manifold in all industries alike, and in this digital age and with so many new restaurants opening, the restaurant industry is getting competitive at each step. 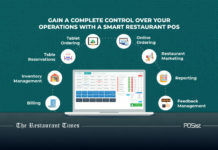 Automating operations of the restaurants helps in improving its efficiency which in turn will enhance your restaurant service. 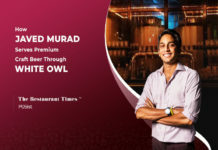 Rahul Bhambri, Owner, Last Call, and Rooh says, “Technology is playing a significant role nowadays both regarding cost control and the pilferages. Let us look at the way in which technology can be used to improve your restaurant service quality. If your restaurant has limited seating, it will be profitable for your restaurant if the customers can book the tables online in advance. The customer base of the restaurants can be increased if the process of online table reservations can be digitalized. Now with the reservation management, the restaurants can view all the guest information using a single interface. The restaurants can quote accurate wait timings for both walk-in-customers and also for those who made prior reservations. The orders taken are more accurate, and there are no chances of manual errors. The speed and efficiency of your restaurant service improve which overall contributes to the better customer experience. The increased speed and efficiency of service mean higher table turnovers which will enable your restaurants to serve more guests. If your customers are happy and satisfied, it will lead to more mouth-of-word recommendations. The CRM technology now has become the key that helps in improving customer engagement in your restaurant through loyalty programs and others. 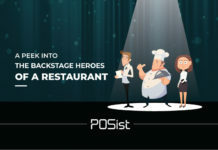 Centralized restaurant CRM enables you to gather customer data related to the contact details of the customer, the frequency of visits, their preferences and average spending per visit. 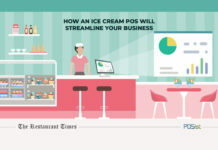 POS integrated CRM gives excellent insights into customer demands and behavior and allows you to make informed decisions based on the captured data which will improve customer service. Waiters can view this detail in the POS and upsell and suggest items based on customer ordering history. As mentioned earlier, asking Feedback is critical to improving your restaurant service, and you can employ technology to collect and analyze customer feedback better. Instead of a regular feedback form, you can use a Feedback Management App that asks for specific feedback from customers based on the particular item ordered, ambiance, and restaurant service. This itemized-level reporting also helps you identify the performance of the dishes on the menu. The Feedback App automatically updates the customer details in the CRM, thus eliminating the need for manual updating of data and the scope of errors. Hygiene in restaurants is not just essential to ensure the health and safety of your employees and customers, but also because it plays a significant role in the perception of your restaurant. The customers can get highly disappointed if the plates in which they are served food are dirty. One of the most prominent complaints women have of the restaurants is of the dirty restrooms. It is essential for any restaurant to follow the cleanliness and hygiene standards to ensure that your customer has an overall positive impression of your restaurant. 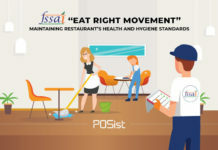 The FSSAI has laid down guidelines for cleanliness in restaurants that every restaurant has to follow. Make sure to pay attention to the little details as they can make a big difference in the way guests perceive your restaurant. Any customer if they have chosen your restaurant to dine has prior expectations of great food and excellent customer service and failing to deliver both can cause your restaurant business to suffer tremendously. If your customer is happy and satisfied with your restaurant service, they are likely to talk about their experience with others and are also likely to return. The benefits of having happy customers are undeniable. Having happy customers starts with having great customer service, and having great customer service starts with effective hiring and training. 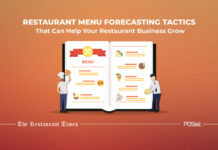 It is also highly recommended to have a restaurant management checklist that would help you streamline your operations and ensure better service. 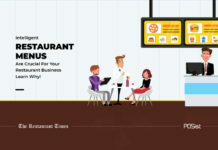 Next articleHow a Restaurant Management System Lets You Run Your Restaurant From Anywhere! Great examples of good customer service in restaurants. A restaurant needs to focus on improving restaurant service as much as they focus on improving the food quality. People will remember you if you serve good food but will keep coming back for great restaurant service! 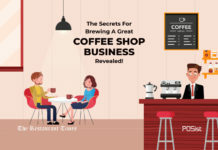 While stellar marketing will help you attract customers and increase your customer trail base, it is only an outstanding restaurant customer service that will help you in retaining those customers and bring them back at your restaurant. This article provides some great examples and insights on how I can accentuate my restaurant’s customer service. Thank you, great work!